More Furlough Days For Gilroy Teachers? Gilroy teachers set to vote on a new contract. 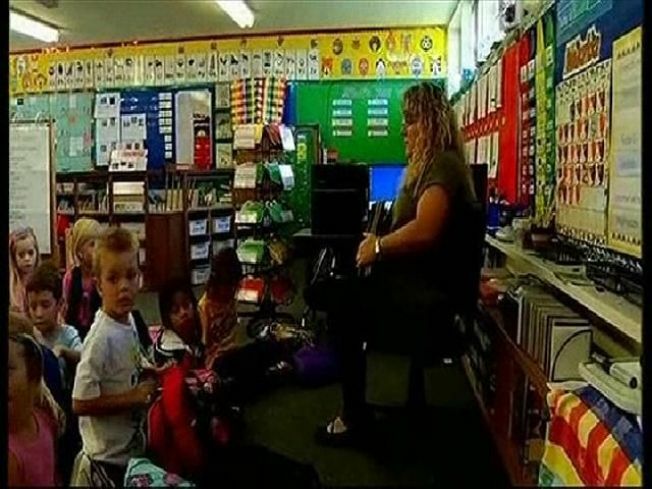 More furlough days and deep pay cuts for Gilroy teachers. Those are the terms of a new contract set for a vote Thursday. After two grueling days, The Gilroy Teachers Association and the Gilroy Unified School District hammered out a new contract for the 2012-13 school year, the Gilroy Dispatch reports. The GTA agreed to take 10 unpaid furlough days next year. This will consist of seven instructional days and three staff development days, equating to a 5 percent pay cut. That’s an even bigger salary slash than the one teachers saw this year. In 2011-12, all certificated GUSD staff agreed to take eight furlough days, which equated to a 4 percent pay cut. The 10 furlough days for 2012-13, are considered temporary and hinge on the results of the November election. If Governor Jerry Brown’s tax initiative gets on the November ballot and passes, GUSD will only lose $2.9 million in funding. The 10 furlough days will be restored and teachers will receive the difference of the pay cut on their December paycheck. If the governor’s tax initiative doesn't pass, GUSD will lose $6.9 million and the 10 furlough days will remain. Voting begins today and runs through May 30. If the majority of teachers agree to the new bargaining agreement, the Gilroy Board of Education will make the new contract official during its next meeting on June 14.